yon Tande (Whitney V. Hunter) is an artist/culture worker and BLACK SEED Native committed to culture as catalyst. His work centers around nurturing and cultivating the creative spirit through performance, education and curation. His works have been presented through Kumble Theater, La Mama, Grace Exhibition Space, Panoply Performance Laboratory, Brooklyn International Performance Art Festival and others. 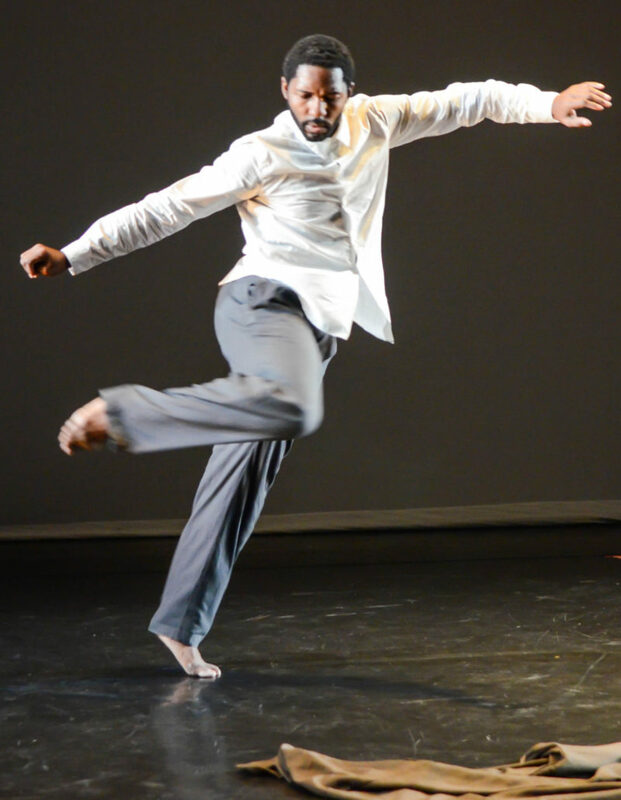 He has worked with Martha Graham Dance Company, Rod Rodgers, Reggie Wilson, Martha Clarke, Fiona Templeton, Daria Faïn and Robert Kocik, John Jesurun, Kankouran West African Dance Company, Yass Hakoshima and others. He was a Movement Research Artist in Residence (2013-15), and a founding member/curator of Social Health Performance Club and presently a Driskell Ph.D. Fellow at Institute for Doctoral Studies in the Visual Arts.